My name is Bonnie and I live in Nipomo, California. I am 34 yrs old and a stay at home mom (mostly) and an Instructional Assistant Substitute, working on becoming a substitute teacher. I recently graduated, May 2011, from Brandman University with my Bachelors Degree in Early Childhood Education. I have been married to Robert for 10 ½ yrs and have three children; step-daughter Nicole (12yrs), sons Christopher (10) and Jack (5 ½). Since I was about 8 or 10 years old I had an idea that I wanted to be a surrogate, just like my mom. Growing up with the knowledge of what my mom did to make dreams come true for infertile couples was amazing to me. I wanted to experience this type of selflessness and know that I fulfilled someone’s dream too. My mom made me want to be a better person. When I finally decided to move ahead with surrogacy I wanted to go the traditional route, like my mom. I chose becoming a traditional surrogate simply because I don’t like needles and I am terrible at remembering my vitamins. I couldn’t bear it if I didn’t get pregnant because I forgot to take my medication. I would never forgive myself. There isn’t any medication to take being a traditional surrogate because everything is worked around my cycles. I think one of the most enjoyable things about being a traditional surrogate is getting updated pictures and seeing a little glimpse of me in that child. I will admit that I was very nervous when I first became a surrogate. My first couple was from Germany and I feared that we would have a major language barrier and not be able to build a close relationship. When we were matched my fears went away instantly. Despite the time difference, we built a great relationship. We spoke every Sunday and communicated by email regularly. I delivered a healthy baby boy for them, January 10, 2005. My second couple was also international, from Canada. We spoke a bit more frequently mainly because we were in the same time zone. On October 14, 2008 I delivered another healthy boy (in my husband’s car in front of Sierra Vista’s ER doors). I love both of my previous couples and we are all still in touch. I am really excited that I was able to get matched a 3rd time with a couple from the States this time, Virginia!! On December 9, 2011 I delivered a healthy baby girl! And yes I plan on doing it one more and final time!! It means a great deal to me that my couples are a part of all my doctor appointments (if possible) as well as being in the delivery room when their child is born because I feel they should experience as much as possible. I want them to feel that this is their baby and we are all making this possible. Being a surrogate mother has given me a greater appreciation to the word “family”. Just knowing that I have helped create not one but three families, I don’t take mine for granted. My children mean the absolute world to me. In the summer of 2009 I had an amazing opportunity to be a part of a 2 hour surrogate documentary to be aired on WE TV, titled “Surrogate Stories”. Unfortunately, it aired last night (January 7th) and I missed it because no one was notified that it was airing. I haven’t watched it yet but I have a DVD of the documentary and plan on having an “airing” party at my home so my friends and family can see it too. I truly hope that viewers that did have a chance to watch it finally see a positive and selfless experience with surrogacy. It really is a blessing for these families and I am so proud to be a part of it. 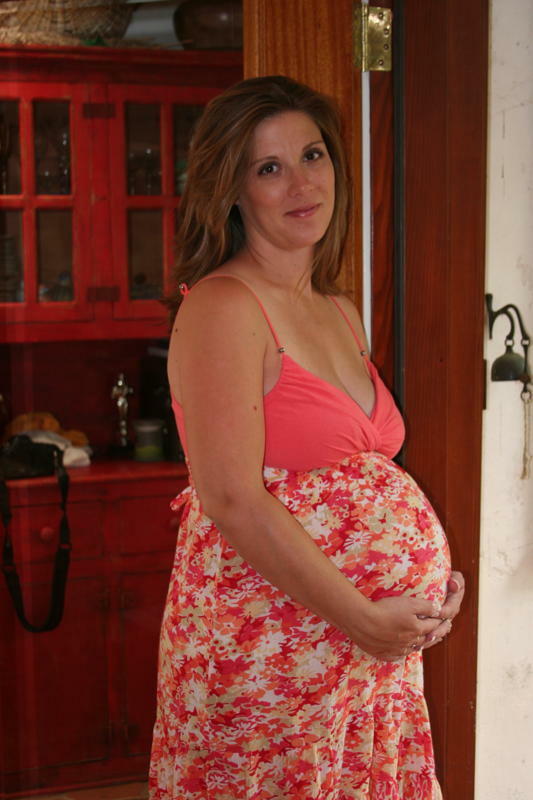 A big thanks to Bonnie Downing for writing this article on her Momsperience with Surrogacy. If you have a Momsperience you’d like to share, please email me your topic at themommyfiles@gmail.com. Momsperiences can include experiences as a mother or a grandmother. This is a remarkable post, I am happy to have read it. Your contributions to society/humanity/people, is just selfless and amazing; inspiring even. Thank you for writing about it. Wow! Thank you for the perspective on being a surrogate. It was very interesting to read and learn more. I can see it takes a really special person with a great heart to give other people the opportunity to raise a child. I tip my hat off to great people like this.